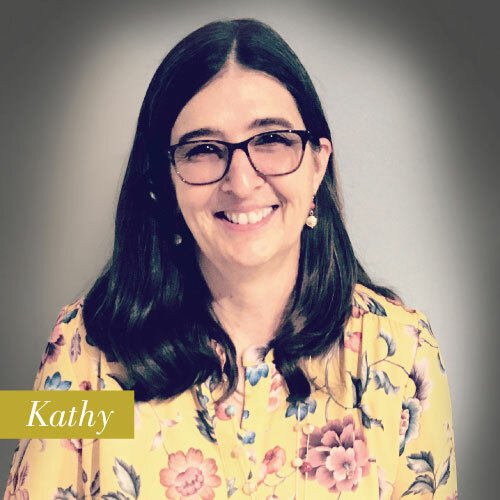 The newest member of the Haynes flooring team, Kathy was recruited by our Flooring Buyer, Steve Brown after he was wowed by her customer service skills at a store he frequents. Kathy’s been in retail for over 20 years, and it turns out she’s a natural at room planning and figuring flooring installations. 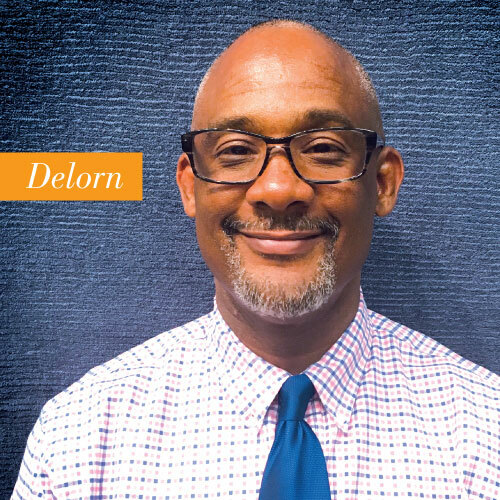 She brings an easygoing enthusiasm and a personal touch to her work with every customer at our Virginia Beach store, right down to the pens she uses to sketch out room plans. They’re her own, not the ones in the supply drawer, because she invests herself in every aspect of every flooring installation she designs. All you need to do is tell Stephen the year your house was built, and he can give you a remarkably accurate estimate of how much hardwood, tile or carpet you’ll need. That’s what happens when you have 14 years of experience in floor covering and installation, stone fabrication, and kitchen and bath design. 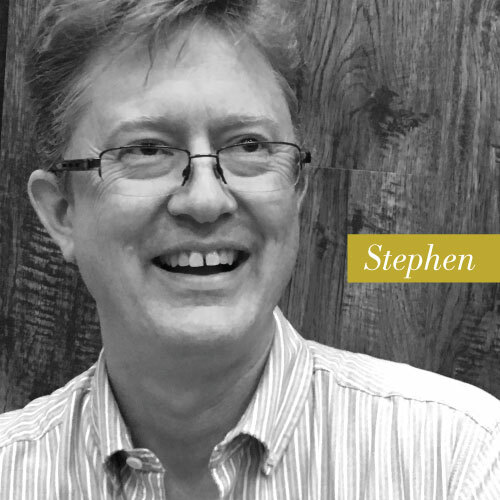 A self-admitted measurement and figuring geek, Stephen approaches every customer and every project with this question: “What can I do to make this fun and easy?” Stephen’s our kind of guy. We think he’ll be your kind of guy, too. 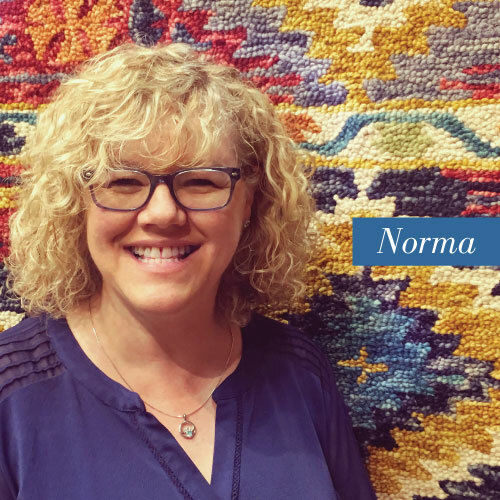 This pretty lady is your go-to person for floor covering on the Virginia peninsula. Meet Joan, a 14-year member of the Haynes flooring team who helps people bring their rooms to life at Haynes in Newport News. “I love people, I love to smile, and I love home design,” says Joan. “My clients are my number one priority. 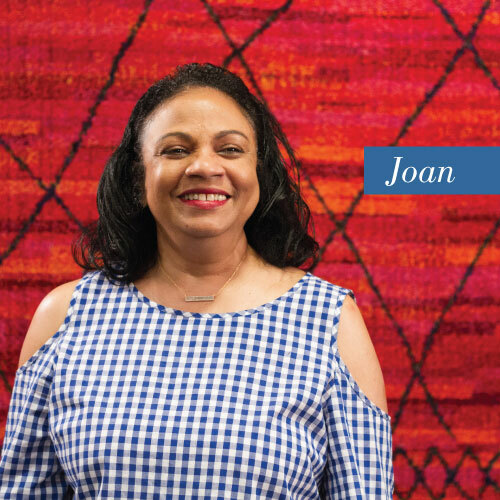 I love it when they leave our store with a smile, and they’re happy.” Whether you’re looking for hardwood, tile, carpet or area rugs, Joan makes the process relaxing and fun. Which is the way it should be, right? Cecelia is a people person. 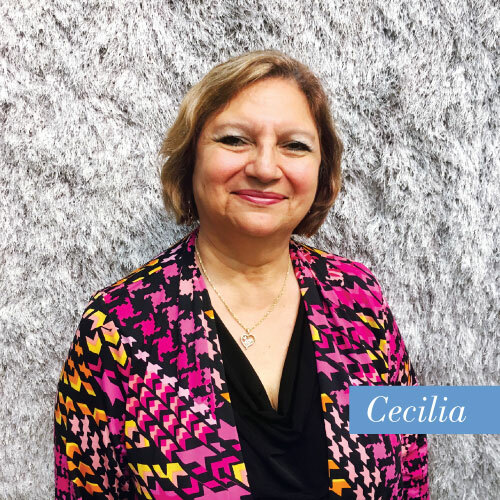 She started in the flooring business 30 years ago, and she loves working with customers (in English or Spanish) to plan layouts and make design choices. A fan of the outdoors, she enjoys fishing and camping, especially when family is involved. So what’s with her colorful “feathered friend?” Cecelia has always thought about having a macaw as a pet, but wasn’t sure. When a dear friend visited Mexico, she brought her back the next best thing as a souvenir. It was perfect. “I love this bird. No mess and no loud noise,” says Cecelia.